Environmentalists are in an uproar at the Cabinet’s approval for the multi-million dollar tourism development within the Lighthouse Reef Atoll. 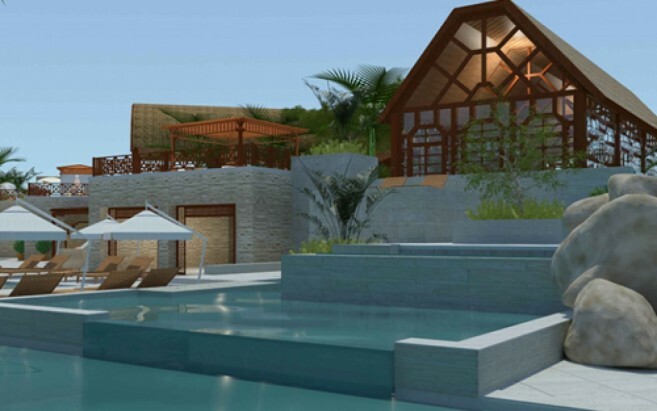 Puerto Azul Belize Limited is proposing an exclusive resort, hotel, golf course, villas and spa to be built on Northern Two Caye and Sandbore Caye. 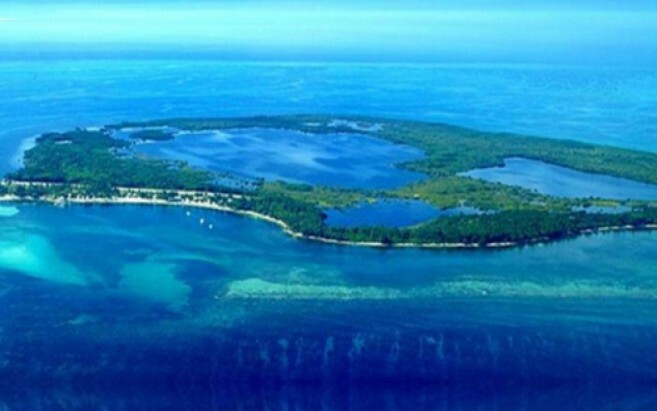 The island proposed for development are a short distance from the Blue Hole and Half Moon Caye Natural Monument, both extensively protected areas for their importance in the Belize Barrier Reef Reserve System (a UNESCO World Heritage Site). The development is expected to consist of over 970 acres of luxury amenities for the world’s elite including shopping centers, restaurants and bars, a golf club house, spa, airstrip, marina, churches, business centers, botanical garden, health care center, not to mention accommodations for approximately 1,000 guests and 2,000 employees. Puerto Azul is expected to be the most luxurious and expensive tourism destination in Belize, offering seven star exclusivity of nature and services. Minister of Labor, Local Government, Rural Development and National Emergency Management and Immigration and Nationality Godwin Hulse has stated to the media that the Cabinet has approved permission for Puerto Azul to conduct an environmental study to confirm if the project is sustainable. 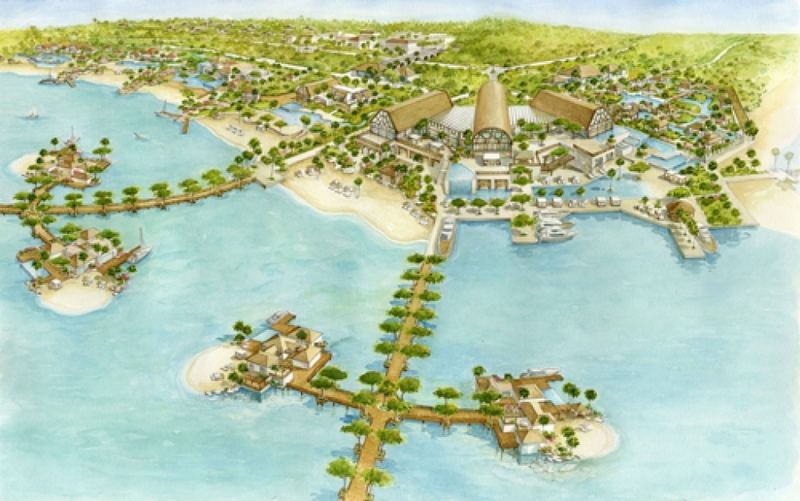 Environmentalists are claiming that no sort of development can be sustainable with Lighthouse Reef Atoll so close to the Blue Hole and Half Moon Caye. The area is known for complex fringed coral systems, turtle nesting and habitats for the red-footed boobies, iguanas, frigate birds, sea hawks and warblers. 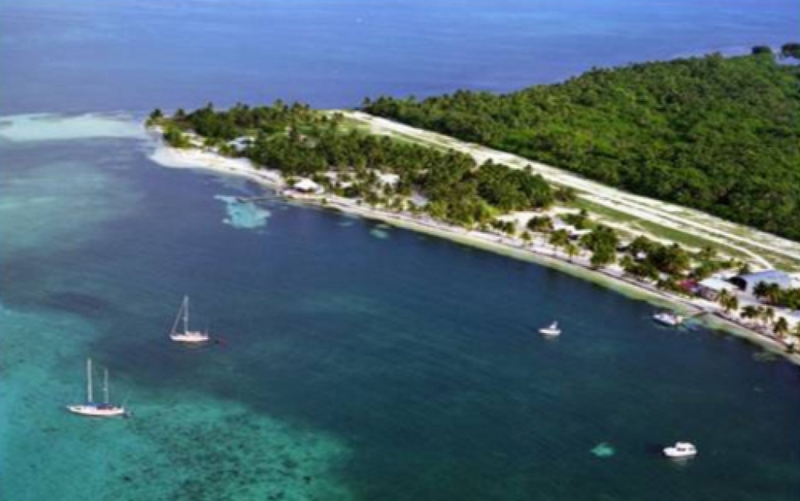 “Sandbore Caye has the highest turtle nesting density for all Lighthouse Reef. Northern Two Caye is now only one of two cayes with mangroves in the Atoll. So you have only five cayes on Lighthouse Reef and you have one caye that we think will be shredded to pieces by a huge marina, a mega marina,” said Roberto Pott, Belize Coordinator of Healthy Reefs for Healthy People. The vision of Puerto Azul states “The challenge of Puerto Azul is to combine the excellence of its luxury project with the uniqueness of an oasis which is unique in the world without degenerating the soul, but instead exalting the protection and enhancing of natural and environmental resources and social services.” But local environmentalists are saying that it is impossible create such a mega development without damaging the surrounding environment. “With the removal of all the mangroves we lose the entire nursery habitat for all the fish that depend on that one of two cayes out at Lighthouse Reef. So when you look at it, you will end up losing commercial species. We have one of the largest Nassau grouper spawning aggregation in Belize just outside of Sandbore. So the loss of mangroves, will translate into loss of fish. Not only fish for commercial consumption, but the parrot fish that depend on that nursery habitat to grow their off spring into juveniles then go back out to the reef to keep the reef clean and healthy,” said Pott. Other problems considered by environmentalist include dredging and mass pollution. “We are talking about massive dredging if that is the case. Lighthouse Reef Atoll on a whole has a healthy sea grass bed and if silt and sedimentation is to happen due to dredging, definitely it will have an impact on the sea grass bed. We all know basic ecology: the sea grass provides nursery grounds for the fishery and especially the commercial Queen Conch. It is difficult for small boats to navigate the channel, so there is a possibility of the coral reef system being blown up at the northern point of the Light House Reef Atoll to create a channel to accommodate vessels to enter the proposed Marina at Northern Two Cayes. Running aground and damaging the reef are only some of the risks associated with Puerto Azul development,” said Shane Young, Marine Protected Areas Manager of The Belize Audubon Society. 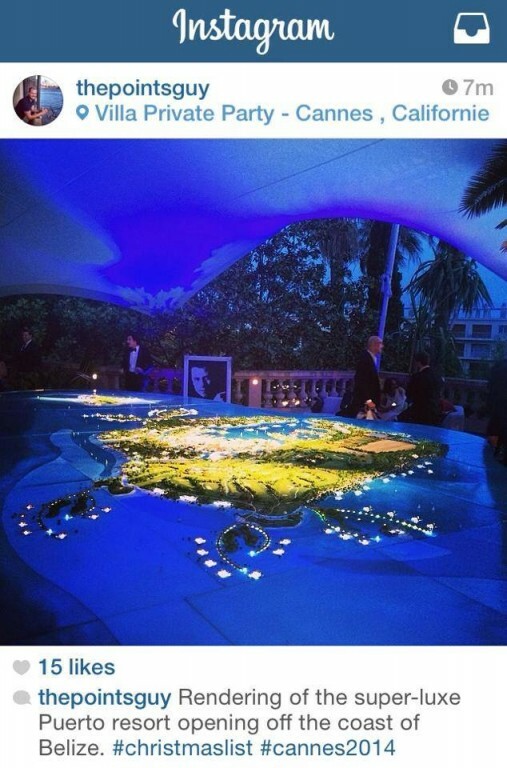 Promotion for the development has already commenced at the 67th Annual Cannes Film Festival. 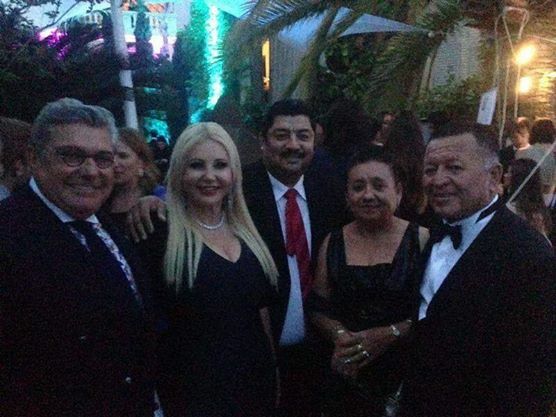 The Puerto Azul Experience Night was hosted at the Villa Saint Georges on Wednesday, May 21st, as was the new project for Oscar Generale and President of Puerto Azul Domenico Giannini. Attending the event was Minister of Tourism and Culture, Honorable Manuel Heredia Jr. and Belize Minister of Investment Promotion & Private Sector Development, Honorable Erwin Contreras, along with a host of movie stars and celebrities. 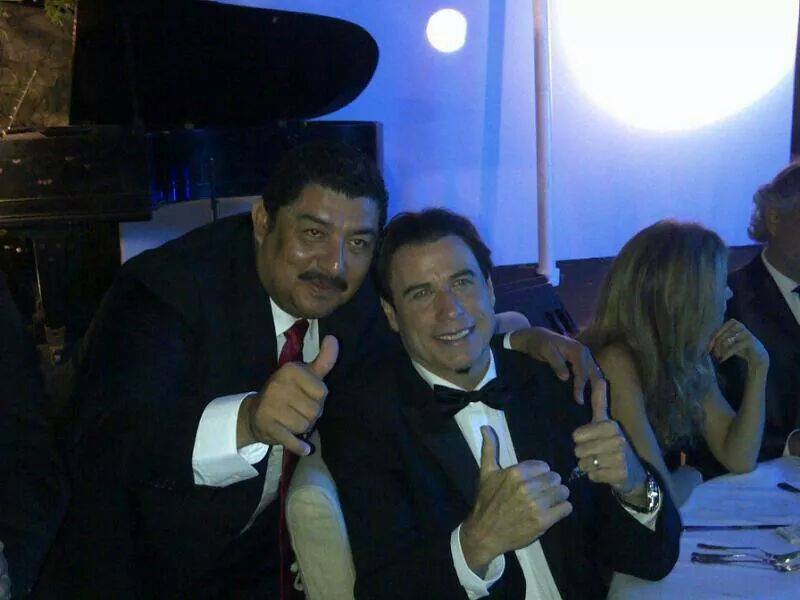 The event promoted Puerto Azul as the “dream luxury experience that will be built in the clear and beautiful waters of Lighthouse Reef, Belize.” Pictures have surfaced on social media of Ministers alongside Puerto Azul investor John Travolta and other notable figures. At the event it was also revealed that Puerto Azul will be undertaking a non-profit organization for the benefit of the people of Belize and the environment. 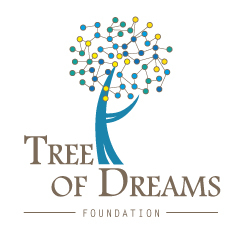 The Tree of Dreams Foundation is aimed to support protection and conservation projects as well as education and health improvement for the country. Puerto Azul will provide a percentage of their profits to fund the foundations’ projects. Specific initiatives for Tree of Dreams Foundations will include the creation and maintenance of wells and watersheds, the development of medical centers, expanded educational facilities and the preservation of marine life in the reef of Belize. The project is expected to be completed by December of 2017 if there are no impediments or restrictions by the Government.